On the day of World Water Day, 22nd March we should think of the importance of water in our lives. Water is an integral part of the environment. 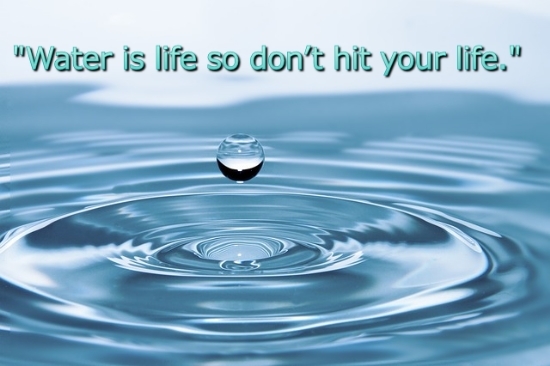 Water is a very important source of our life, for this reason, it is said that water is life. Without water, life on earth cannot be imagined. 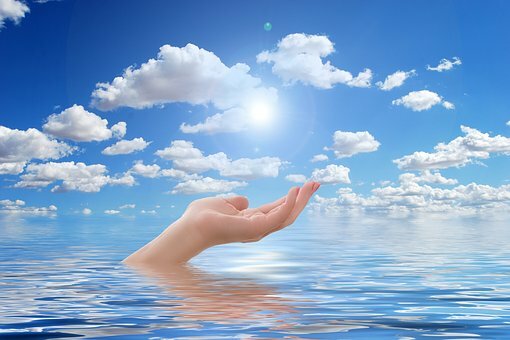 Water is one of the basic requirements of human beings. We have 71 per cent of water in our soil but only 3 per cent is enough for drinking. World Water Day and its Importance. Water is the source of life, Water is life there is no life without water. Life without water cannot be imagined. The importance of water is increasing day by day because the water is continuously decreasing. The amount of water on earth that is 1% of all water is potable for drinking. Yet people often waste a lot of water. That's why we should save more than water or else the day is not far when we have to struggle for a drop of water. The scientific and technological progress of the last two hundred years has made man's life very convenient. Due to the Industrial Revolution, the lives of millions of people have been happier. Due to the discovery of new drugs, human life is getting longer and mortality is decreasing. Thus we know that this mechanical era has given us a lot. But if we look at our surroundings, then we realize that this progress is only poisoning in our lives. There is also a form of this poison spreading around the pollution. Types of pollution: There are many types of pollution - water pollution, air pollution, land pollution, noise pollution etc. All types of pollution are fatal but water pollution has greatly affected the people of our country. Water pollution is used to find such substances in rivers, lakes, ponds, groundwater and ocean water, which does not qualify for the use of living organisms and animals, becomes unfit for our consumption. The reason for water pollution: One of the main reasons for water pollution is our industries. The chemical garbage of our industries, factories leave their waste to the rivers and lakes directly. The waste which is released in rivers and ponds is very poisonous and it makes the water of rivers and lakes poisonous. Due to water contamination of rivers and lakes, the living creatures living in it die and if the animal drinks an animal or a human, then the animal dies and man becomes a victim of many diseases. Apart from the industry, there are many more reasons which cause water pollution. The garbage that comes out of our cities and villages is thrown into rivers and lakes. In today's times, people also use chemical fertilizers and medicines in agriculture, due to which the sources of water are very much affected. When the contaminated water of the rivers gets in the sea, the water of the sea also becomes contaminated. When the plastic pile increases, it is thrown into the sea. Occasionally when the accident occurs, the fuel of the vessels spreads in the sea, which leads to higher water pollution. This oil spreads across the ocean and makes a layer on the water. Because of this, many creatures living in the sea dies. When people bath in lakes and river which makes the water becomes contaminated. When the dirty water of rivers and drains is found in the water, the water becomes contaminated. When water is stagnant in one place and water gets contaminated due to garbage in it. People wash clothes and utensils on river beds with soaps, utensils are dirt and the water with the detergent gets mixed in all the rivers and ponds, due to which the water becomes contaminated And this is the cause of destruction. 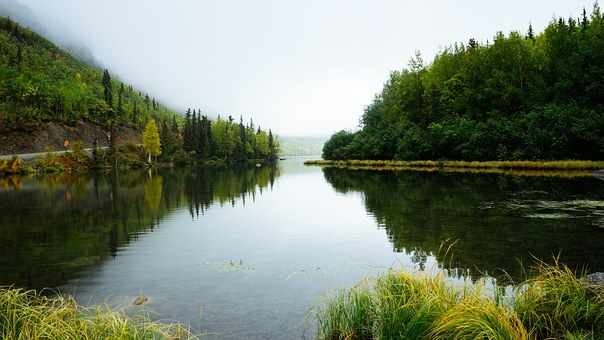 Some people pack the remaining or spoiled food to the garbage bag and throw it in the water, which makes them contaminate in the river or pond water. Those who are settled near the rivers or reservoirs, they throw in the water. Few people burn the garbage, so there are gas and dust in the air and all of them are mixed with rainwater and wherever water is stored, thereby water pollution increases. When the atom is tested in water then there are some nuclear particles found in it which contaminate water. Problems or effects of water pollution: Water pollution has become a very serious problem in the modern era. The people who lived in earlier days used to drink the water directly from rivers and ponds. People who drink river water became victims of many diseases. Even millions of people suffer from drinking water problems. By consuming contaminated water, humans have to deal with problems related to cholera, peptic and abdominal diseases. In humans, not only contaminated water, but also lactate and glaucoma, which leads to disease. When atomic tests are done in the oceans, at that time some nuclei particles are found in the ocean, due to which the equilibrium of the ocean along with the oceans and the vegetation of the sea is also deteriorated. When the residual material, while heating water in the factories, the atmospheric temperature also goes up, due to which the number of organisms and vegetation there starts decreasing and the aqueous environment becomes unbalanced. If there is water pollution in the same way, the need for clean water cannot be fulfilled. The solution for water pollution: Governments should take immediate steps to stop water pollution. Not to allow throwing garbage and plastic into the environment and ocean. Which needs to be recycled or use them to generate energy. The factories which have more pollution needs to be made to reduce water pollution and treat their wastewater and make it potable water. Where there is water, there we need to preserve that ecosystem. Prevention of water pollution: The government should put restrictions on the factories and industries to put wastes in the rivers. The garbage that comes out of the city should not be allowed to be filled properly without water. In the fields, the use of organic fertilizers should be restricted. Governments should encourage more organic farming. People should be prohibited from washing clothes on rivers or lakes, in order to safeguard the water of the lakes and to make it potable. The people should stop bathing their cattle in ponds because the water of the pond is stable and due to the bathing of animals, the water gradually becomes dirty and then it is not useful in any way. People should also stop bathing because they use soap or shampoo while bathing, which increases water pollution. Use minimal chemicals while household cleaning so that they can not contaminate it by going into the ground. In cities, towns and villages, at least once a year, ponds and rivers should be cleaned and silt should be removed from the ponds and lakes. Here we insist following small changes to be included in our lifestyle, which results in saving water enormously. We should always use small glasses for drinking water if there is water left in the glass should be used for another cleaning, washing, gardening purposes. Small glasses will save water. Likewise, after washing the vegetables, the residual water should for gardening purpose etc. Use the bucket to wash the car. Opt for bucket bath instead of using the shower. Install the showerheads which let out less water and can save water. Fix the leakage in tap, pipes. Use the washing machine to its fullest capacity. Turn off the tap while shaving and brushing. Water drain outlets of the cooler can be directed to the garden. 2018 Water Development Report by the United Nations states that in the world, half of the world's 3.6 billion people, ie half of the population, are craving for water for at least one month every year. This report has been submitted before World Water Day on March 22. The report warns that the number of people suffering from water crisis can reach 5.7 billion by 2050. UNESCO Director-General Adray Azole has said in Brazil while presenting the report, if we do not do anything then more than five billion people by the year 2050 should be living in such an area, there will be a very poor supply of water. According to the report, the consumption of water has increased six times in the last century, there is an increase of 1% water usage every year. Obviously, population change, economic development, and change in the way of consumption will increase the need more. This demand will be more in the countries of developing and emerging economies. The New York City of America is pushing the reservoir e-defence, forest conservation and environment-friendly agriculture to deal with the problem of water. At the same time, China is promoting the sponge city project, which seeks to bring more rainwater into the ground so that the groundwater level is increased. If the world encourages green policy water by learning from it, then agriculture production will increase by 20%. Water is life, it is our good to save this water. That is why we have to increase the area of forests and also to plant trees in cities. One drop of water is valuable to us. It should be used only. Considering both the government and the society as its own responsibility, there is a dire need to work to save the wells and ponds along with rainwater harvesting. Water pollution needs to be taken the form of emergency in today's time. In such a situation, we have to take concrete steps immediately. If we want to keep water sources safe in the future and give clean water to the next generation, we will have to take steps to overcome this problem from this time on. If we delay this matter, then it will prove to be more fatal.